POS terminal or All-in-on Terminal are a combination of touch screen monitor and a computer. To provide smart outlook, save space & easy maintain in one body. 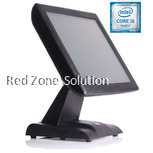 Some of POS terminal have optional to build in a receipt printer, a card reader, or a customer price display. 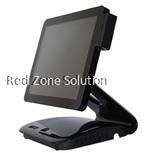 POS terminal are suitable for a retail industrial and food & beverage industrial. The truth is that Malaysia has quickly become one of the economic hubs of the entire world. With developing city-states such as Singapore and rapidly growing economies like Vietnam, for instance, the entire region is quickly going forward. This is due to the fact that there is a rapid growth in a range of different sectors, including retail. When it comes to retail, however, the need to quickly service customers is one that’s incredibly important. With this in mind, you need to ensure that everything is handled as per the highest industry standards. Counting cash by hand or using old-time calculators is far from being something that works in the contemporary environment. That’s why the modern cash machine is equipped with a lot more. This is one of the things that you need to understand. Long gone are the days of conventional keyboards, regardless of the device. 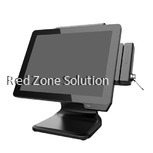 Contemporary POS machines are going to ensure that the worker behind them, can cross-compare different prices and get the right calculations in a matter of seconds. This is important for the proper service and for the satisfaction of the client. The more time the worker spends on handling payments, the less the other customers will be satisfied. 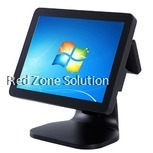 Therefore, an all in one PC will ensure that everything is handled as per the highest industry standards. This will enhance the customer service process, and it’s going to ensure that the worker himself is capable of handling everything quickly and efficiently. 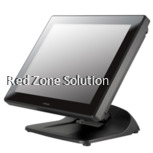 Contemporary POS terminals are equipped with modern software. This means that they will quickly and accurately do all the necessary calculations. They will even count the change that you need to give back. This is going to reduce the losses of the vendor. 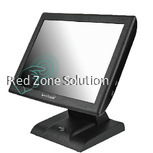 In any case, a touch screen monitor in Malaysia on a POS terminal or an all in one PC is capable of making a huge difference in the entire process. This is something which is also going to increase the reliability of your enterprise. Integrating modern and smart approaches reflects on the decision-making process of the customer. The more contemporary your processes are, the better impact you will have on your customers. There is no time for you to contemplate and decide whether or not this is something that you need because it’s obvious that you do. It’s time-saving, it prevents mistakes, saves you money and ultimately – makes a great impression on the client. What else is there to ask for?